I’m in Cornwall this weekend. Yesterday I was at Port Eliot Festival, an annual literature, music, craft and food extravaganza that takes place in the grounds of beautiful Port Eliot in St Germans. I spent 45 minutes or so chatting and chuckling about Reading the World with writer Andy Miller on the Walled Garden stage. As Miller pointed out, there are a number similarities between us: our names begin with the same letters and we both devoted a year of our lives to unusual reading quests, A Year of Reading the World in my case and A Year of Reading Dangerously in his. While at Port Eliot, I also had the pleasure of catching up with former classmate, Tim Clare, who was reading from his critically acclaimed debut novel, The Honours, which came out earlier this year. Tim and I both studied on the UEA Creative Writing master’s course back in 2004, so it was lovely to see him again and congratulate him on his success. Busy though, I’ve been, however, I haven’t forgotten about the audiobook giveaway and my promise to announce the winners today. In fact, as you can see from the picture above, I even remembered to bring the Year of Reading the World hat (the one that appears in the Coney Island picture taken during the quest in the top right-hand corner of this page). 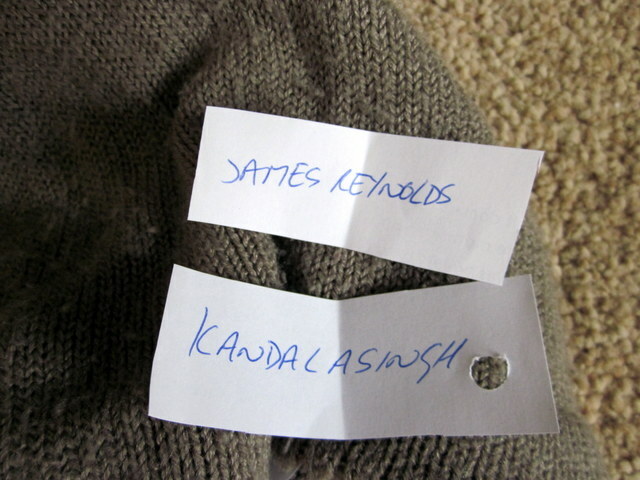 The hat’s looking a little tatty now, but it still works for prize-draw purposes. 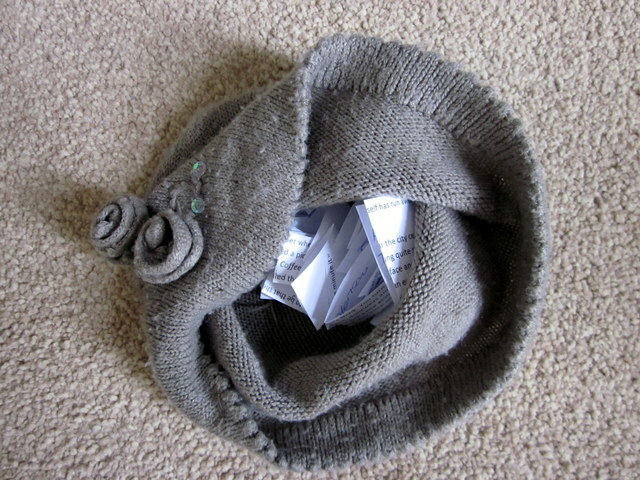 I wrote all the names of the entrants on a piece of scrap paper – the back of a page from an early draft of my forthcoming novel, Beside Myself – cut them up and put them in the hat. Then I shut my eyes, stuck my hand in, and pulled out two names. Aw – sorry. Better luck next time!